Evil has a name. And it goes by Dr. Regis Blackgaard. He and Philip Glossman have big plans that could put Whit’s End out of business. And it looks like the bad guys are winning! Eventually, right overcomes might while kids ages 8 and up learn about making smart choices and having integrity. Digger Digwillow uses the Imagination Station to learn how interesting the Bible is, and experiences the Easter story. Despite Whit's warnings of secrecy, Connie and Eugene "accidentally" load a forbidden program on the central computer at Whit's End. While a counselor at Camp What-A-Nut, Connie has to discipline Lucy, and the boys find out they're not particularly skilled at any out door activity! Dr. Blackgaard and Richard Maxwell work (through some immoral and some illegal methods) to get Blackgaard's Castle approved by the town council. Meanwhile, Connie Kendall and John Whittaker make up, but Lucy Cunningham-Schultz becomes more closely attached to Richard Maxwell. The Barclays find they can't afford to go on a vacation during the summer, so George Barclay tries to find inventive ways to help his family have fun. 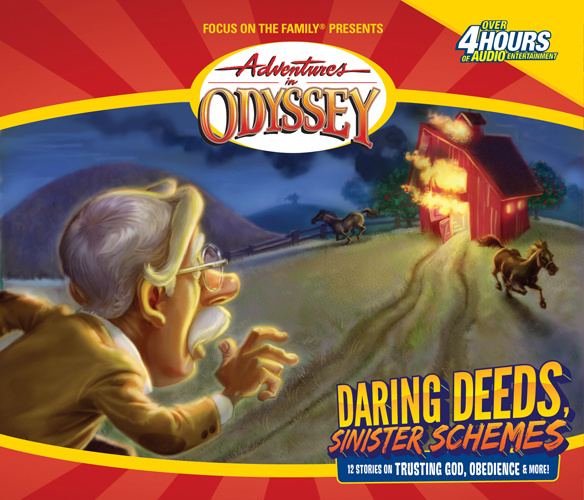 Dr. Regis Blackgaard attempts to steal the 'Applesauce' program from Whit, while Richard Maxwell formulates a plan to get revenge on his employer.